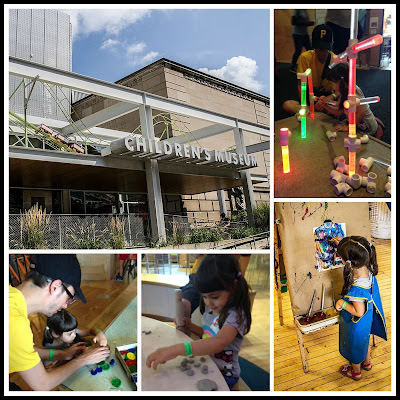 Having never visited a children's specific museum before, I didn't know what to expect when we stepped into the Children's Museum of Pittsburgh. What we found was amazing activities and incredible learning experiences - for Hannah, and the rest of us, too. We took the T from Station Square to the North Side Station and then walked for about 10 minutes. There is also ample metered parking at the museum for those who wish to drive. We started our day in the Studio where Hannah did a variety of crafts. She loved the painting station so much! I was thankful for the art vacuum dryer, which I used for a good 10 minutes before the paper was stiff enough to lay on a drying rack (What can I say? My kid loves to paint every part of a white piece of paper). Then it was on to the Makeshop, where Hannah and Chris played with gears and learned about circuitry. Hannah discovered the Limb Bender, where she (and many other kids) spent a lot of time climbing. After we finally got Hannah out of the Limb Bender, we continued to the Attic that had a neat anti-gravity room, a slide, a doll house and a room you could create shadows in. The Garage had many neat things - including Mister Roger's Neighborhood Trolley (more commonly known now as Daniel Tiger's trolley) and a car Hannah could sit in the driver's seat! 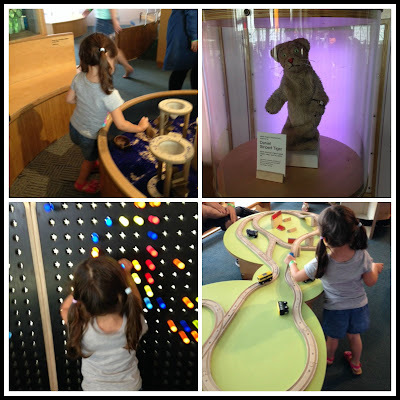 Very Eric Carle is the current visiting exhibit. There until September 20th, 2015, this hall allowed you to step into your favourite Eric Carle books - literally! 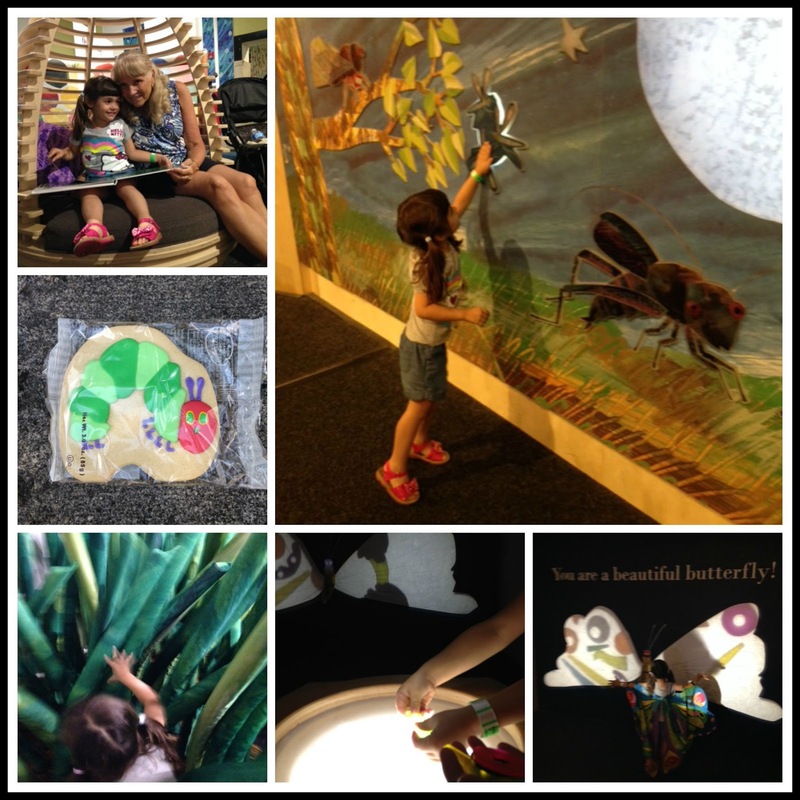 You could eat your way through Very Hungry Caterpillar to become a beautiful butterfly. Many kids (and adults) were fans of the Very Quiet Cricket wall, which you could touch bugs and starts to make noise. Our last stop was the Nursery. Hannah enjoyed sending a ball through a maze while I ogled at the original puppets from Mister Rogers' Neighborhood of Make-Believe. There was also a lot of wooden train playing and Hannah made me a cake with bird seed. Admission to the Children's Museum of Pittsburgh is $14 for adults, and $13 for children ages 3-18. We had a healthy, delicious and very reasonably priced lunch at the Big Red Room Cafe...and of course I had to get a caterpillar cookie for dessert! I was really impressed the Museum had extra diapers and wipes on hand, and every washroom had a stepping stool for kids to wash their hands. Unfortunately we missed a few areas due to time, and can't wait to go back. 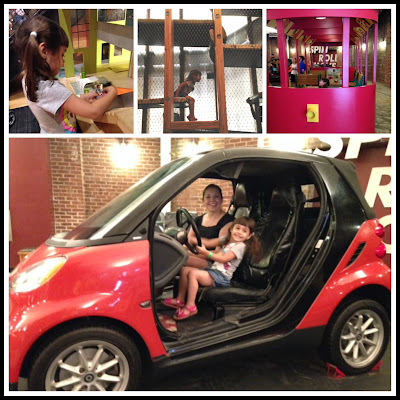 Have you visited a children's museum?